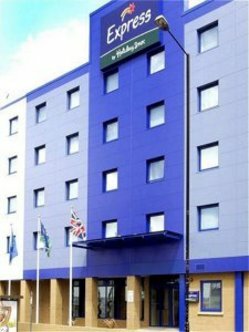 The Express by Holiday Inn London Park Royal is ideal for business and leisure travelers, offering the convenience of location to London Heathrow Airport and Central London. Access to London's public transport system is readily available with North Acton Underground Station less than 2 minutes walk from the hotel and 15 minutes into Central London. The Express by Holiday Inn London Park Royal is particularly well situated for the Wembley Conference Centre, Kew Gardens and Ealing Studios. The hotel bedrooms offer all the conveniences required by today's business traveler and holidaymaker. All rooms at the Hotel have en-suite bathrooms with power shower, hairdryers, pay-movies, satellite television and high speed wireless Internet access, chargeable. We have well equipped conference rooms to seat up to 60 persons theatre style. All meeting rooms at the Express by Holiday Inn London Park Royal have natural daylight, air-conditioning and temperature control, modem points, adjustable lighting and telephone-conferencing facilities. Our rates are inclusive of a FREE continental breakfast buffet. There is also limited on-site parking which is chargeable. If you are visiting London and need convenient access to Central London and London Heathrow Airport, make the Express by Holiday Inn London Park Royal your hotel of choice.